Chris Rowley (LaTeX Project) What is text? The time has come for Omega to break its bounds with TFM/VF fonts and move forward to font formats of the real world . Our choice of candidate of font format for Omega is the OpenType font format. In this talk we start by describing the four-step process of switching to OpenType. Then we compare the information contained in TFM/VF with the one of these fonts, and comment the necessary conversion of TeX/Omega fonts into the new format. Finally, we give the complete list of TrueType and OpenType tables and discuss their possible interest and modality of use, in the Omega context. This part of the talk may eventually leed to a discussion on the evolution of Omega in the forthcoming years. 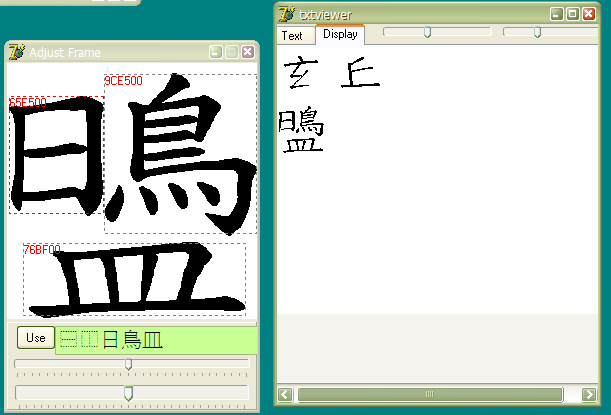 It's about a language (an XML application) for describing the components and strokes of CJKV characters, and their positions, at a level of specificity that can distinguish variants that are unified in Unicode, and also enable displaying characters that currently don't exist in any standard character set. The distinction between characters and glyphs is a fundamental issue of computing. This talk aims in giving a new definition of these notions. We first review and comment the definitions given in various standards. Then we give and explain our own definitions. We consider that the Unicode character model is lacunary and formulate a proposal for adding supplementary information and obtaining thus rich Unicode characters . We illustrate our arguments with many examples, taken from various writing systems.